A4DM, as a website design and development company, is technology agnostic, leveraging your existing investment in a point of sale (POS) system. Our development team works to develop unique custom e-commerce platforms to meet your demands. E-commerce website design is an important part of many businesses' strategy. 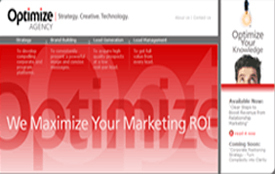 A4DM’s, as a website design and development company, has been developing E-commerce websites for over ten years. 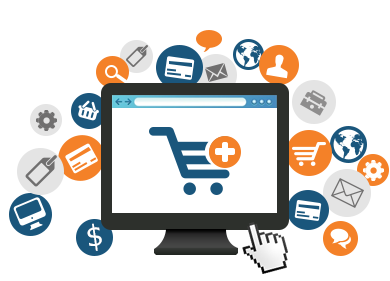 As an E-commerce website development company, we focus on the business objectives of your company and align those with technology and budgetary objectives. Unlike many companies, we try to work with your existing technology to leverage your investment in a point of sale system, (POS). By leveraging your existing investment in a POS system like Light Speed, Magento or other E-commerce platform, we can save your company thousands of dollars. Search engine optimization will ensure that qualified people are able to locate your store online. A4DM offers clients monthly analytic reports to gain in-depth knowledge on what works and doesn’t, so that you and your company are always one step ahead of the game. When seeking the ideal website design and development company that fits your demands, know that A4DM is dedicated to providing exceptional customer service and optimal end results.